There has been a liberal religious worshipping community in Stockton since 1688. The congregation first met in a room in Bolton House Yard, Thistle Green, Stockton-on-Tees. From an engraving of Stockton High Street Meeting House on the right. Our first chapel, shown in the engraving, was built in Stockton High Street opposite the Parish Church. This Meeting House paved the way for other non conformist places of worship to be established in the town, because our forebears challenged the orthodox thinking of the day. To accommodate a growing congregation and expanding Sunday School a new church in Wellington Street was built. 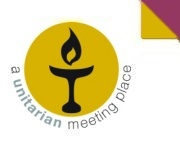 In 1969 both the Middlesbrough and Stockton Unitarian congregations joined together as one church. 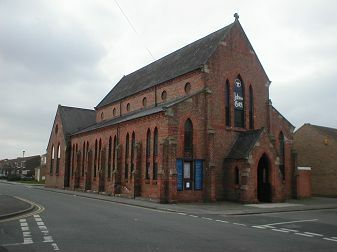 To meet the needs of the present congregation the Victorian building was demolished in 2006 and replaced by an eco-friendly building on the same site. 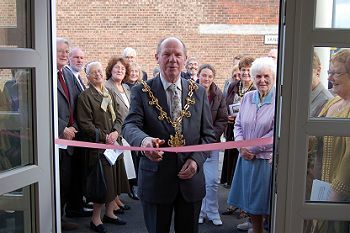 It was officially opened in September 2007 by the mayor of Stockton, Councillor William Noble.